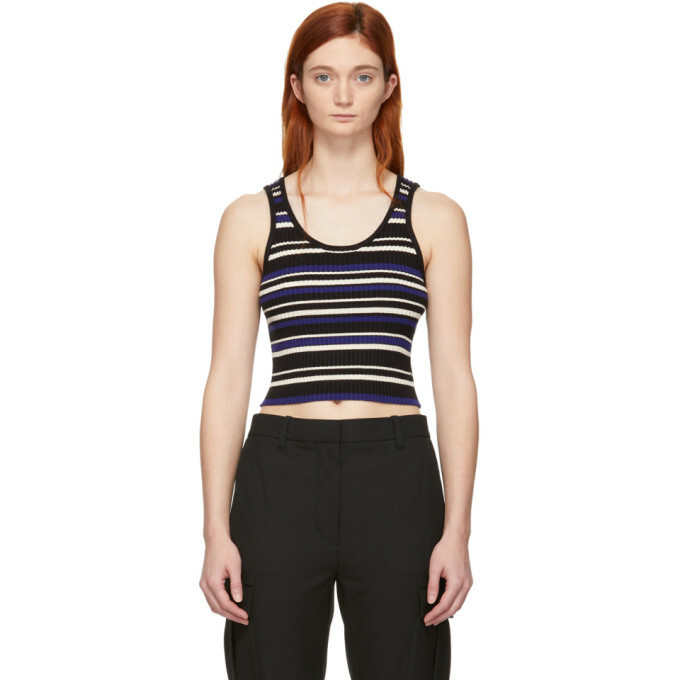 Sleeveless rib knit silk and cotton blend tank top striped in black, blue, and off white throughout. Raw edges throughout. Scoop neck collar. Tonal stitching.